The Spring Newsletter Has Arrived! We are always excited to release our quarterly newsletter because it's a thrill for us to share with our families and supporters the work God is doing at The Fold. We love sharing the stories of God's grace in the lives of our young people, as well as other interesting things happening at The Fold. In this issue, we have a heart-warming story from Lizzie, a Fold alumni. She shares how God brought her from a place of complete brokenness to an oasis of love. We also have some photos of recent activities at The Fold and a special message from Jay Breish, our Executive Director. Interested in Serving at The Fold? 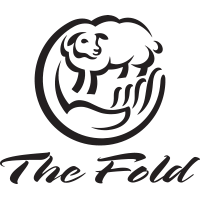 We would love to have you join us as a work team at The Fold. We welcome the opportunity for teams to experience the touch of God’s hand at The Fold and to embrace the natural beauty that surrounds us in rural Vermont. We start each morning with a devotional that includes prayer and sharing before the work day begins. We also set aside an evening for fellowship, a cookout, worship and testimony sharing with our students and staff. Please contact Mike Grant about joining us as a work team: mike@thefoldfamily.com.